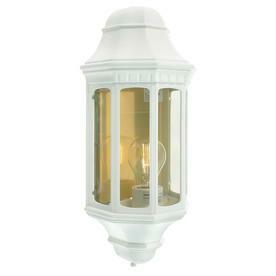 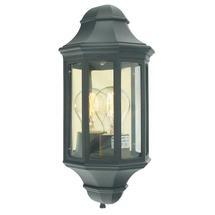 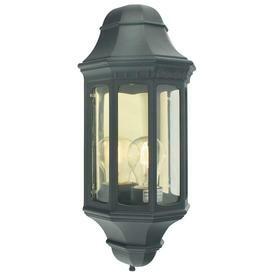 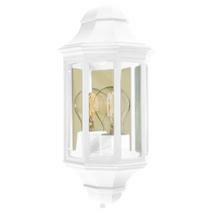 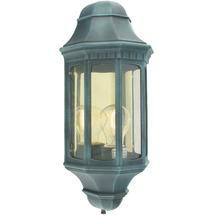 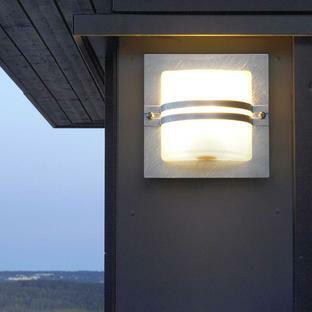 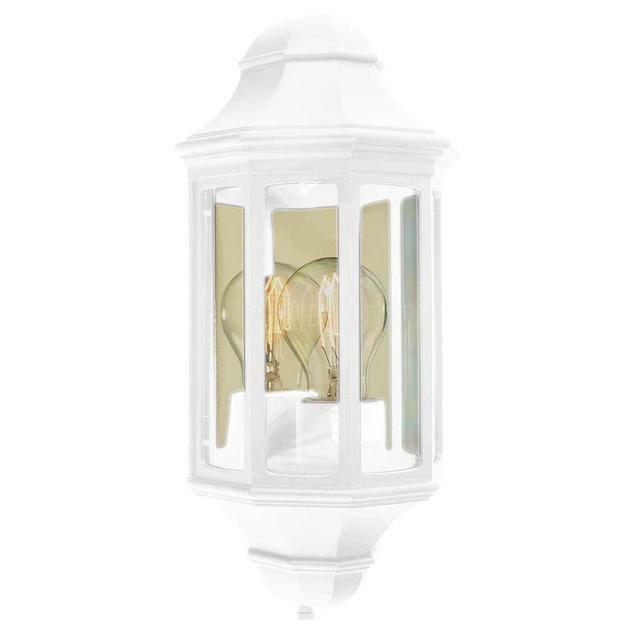 Classic, elegantly styled Norlys outdoor lanterns. 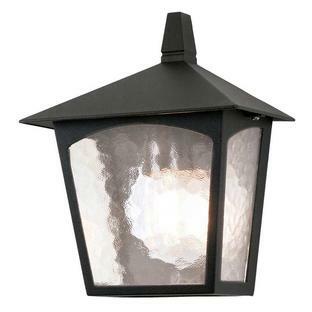 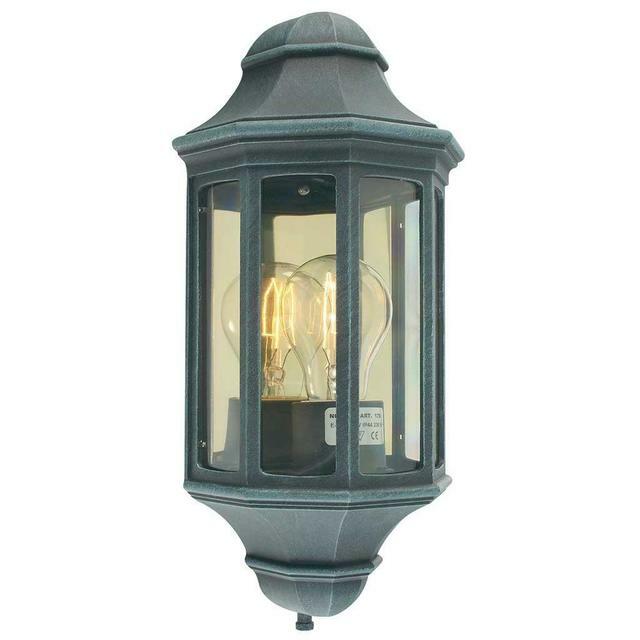 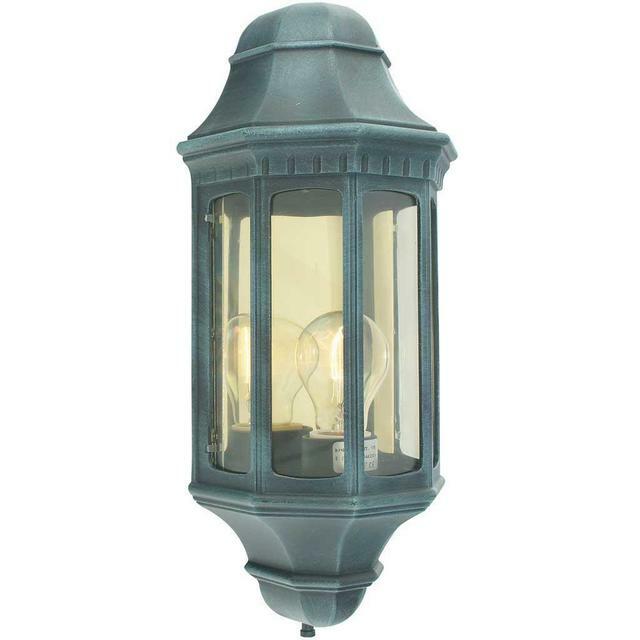 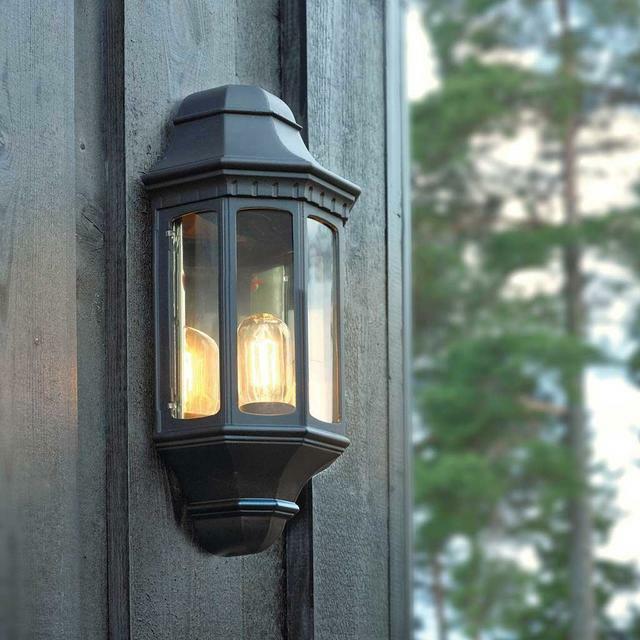 The Malaga half wall lantern exemplifies the sophistication of traditional outdoor lighting, perfect for front porches and doorways. 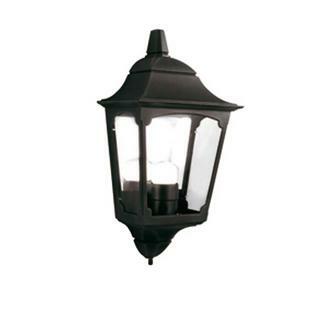 It is available in standard and medium sizes in four different finishes; Black, Black/ Gold, Verdigris and White.